CAA: 2015 Annual Report | Klocke Design Inc. 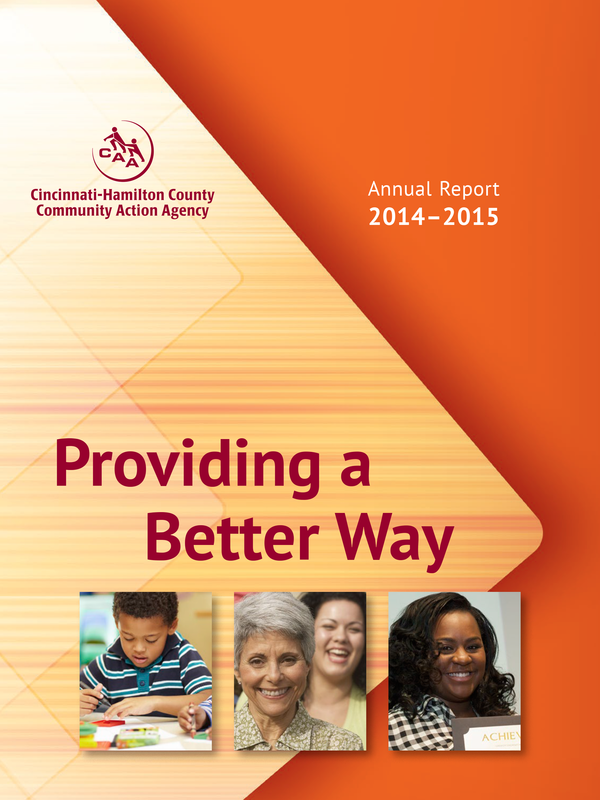 The Cincinnati-Hamilton County Community Action Agency (CAA) facilitates and provides a full range of public and private resources and programs which give low- to moderate-income individuals and families the opportunity to improve their quality of life. 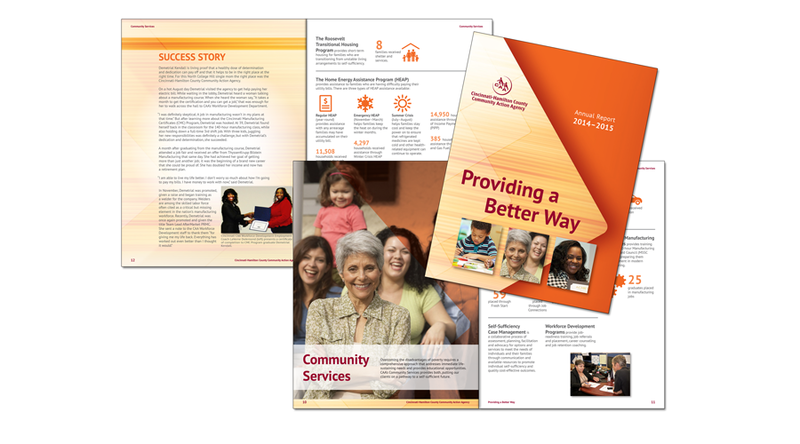 Their 2015 Annual Report used engaging photography and warm colors in conjunction with a graphic representation of their results to showcase CAA’s full range of services. 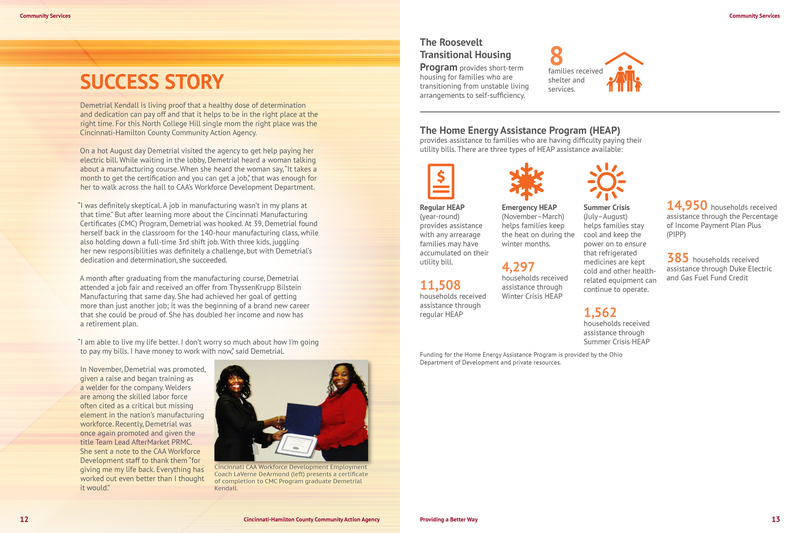 To learn more about CAA, visit www.cincy-caa.org.